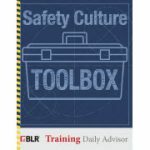 Everyone is talking about safety culture. This free toolkit will help you improve your existing program, or start one at your company. 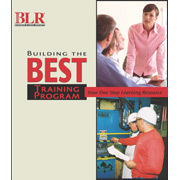 Get tips, a handy checklist, and two safety culture training talks—download today! In today’s complex business world, effective leadership and rock-solid ethics go hand in hand. This special report focuses on these two important qualities, each in turn. For organizational purposes, the content is divided into two sections, but you will see much crossover in the expert opinions and discussions of several qualified and experienced professionals across both topic areas. In this special report, we address the training needs of educational facilities divided into two sections: Safety and HR. Through articles and case studies, you’ll find helpful information from fellow educators and administrators on how they handle safety and HR needs within their organizations. Training is key to a successful salesforce. 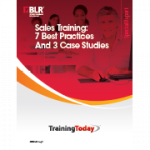 These training areas include orientation, specific skills, management practices, travel expenses, safety issues on the road, and even wellness issues that may be specific to salespeople. In this special report, we give you several best practices for these topics, plus 3 case studies of successful companies. Six times a year, the HR Daily Advisor Research Team conducts detailed research into pressing, contemporary HR challenges to highlight best practices and common policies and procedures. 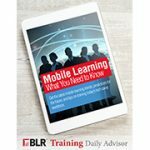 Mobile learning, also known as mLearning, is becoming much more common in the workplace as the workplace—and the work itself—becomes more mobile. This special report offers an overview of the current makeup of the workforce and its increasing technical savvy and predicts future trends. You’ll also learn about a range of topics, including gamification, security issues, safety issues, new hire orientation, and more. 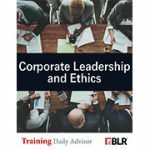 Section 1 – Employee Leadership Training: Tips include avoiding common training mistakes, mentoring youth, community service, succession training, and more. Section 2 – Supervisor Leadership Training Tips: Tips include professional development, leadership styles, challenging employees, managing conflicts, and more. 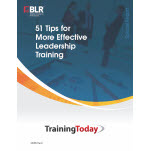 Section 3 – Manager Leadership Training Tips: Tips include gaining buy-in for leadership training, ‘wholistic’ management, balancing employer/employee needs, resource maximization, and more topical advice you don’t want to miss! 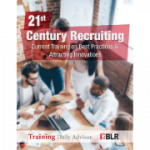 This exclusive white paper will show you how to create—and run—an effective learning program that motivates and trains your workforce to be the best in your industry. This guide is a one-stop training resource. Use it to help you become a trainer who makes learning an engaging and enjoyable experience for your trainees. Employees will look forward to learning new skills and reinforcing old ones, and managers will look forward to the increased profits that your well-trained workforce will produce.